1. 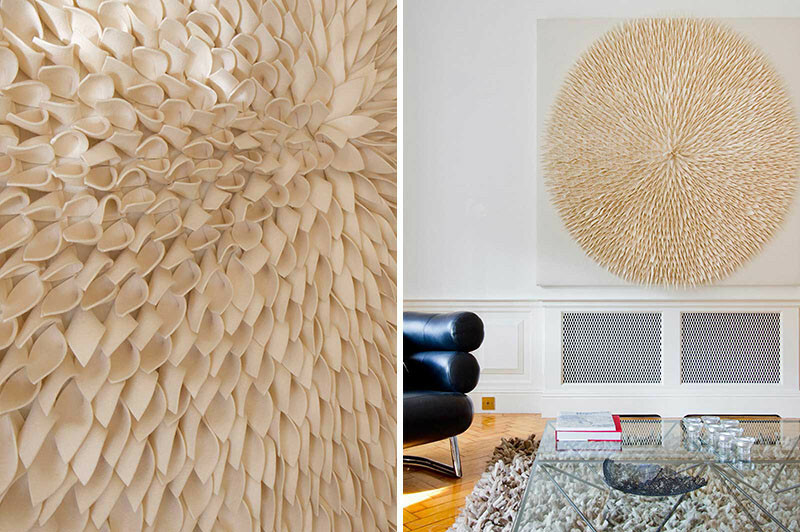 This feature wall made of felt that’s like a big piece of fuzzy modern art. 2. 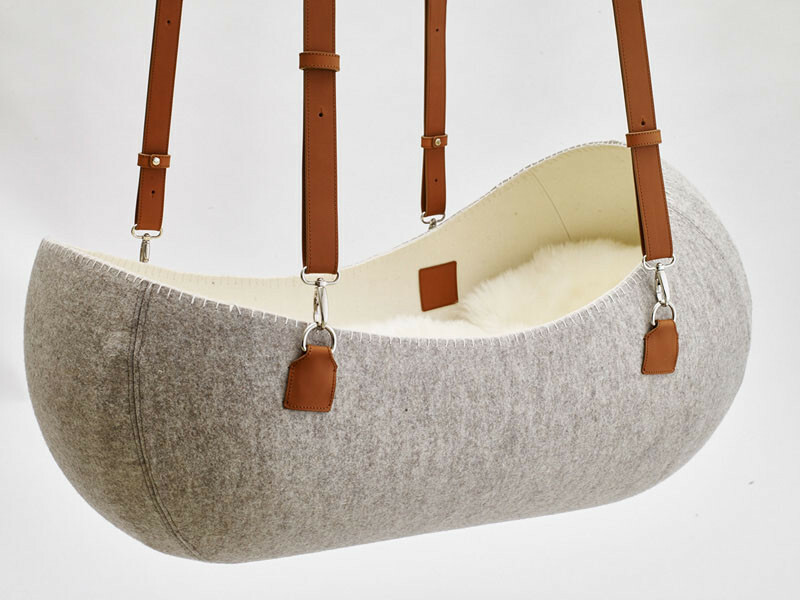 Add this hanging cradle made of wool, felt, and leather to your baby’s nursery. 3. 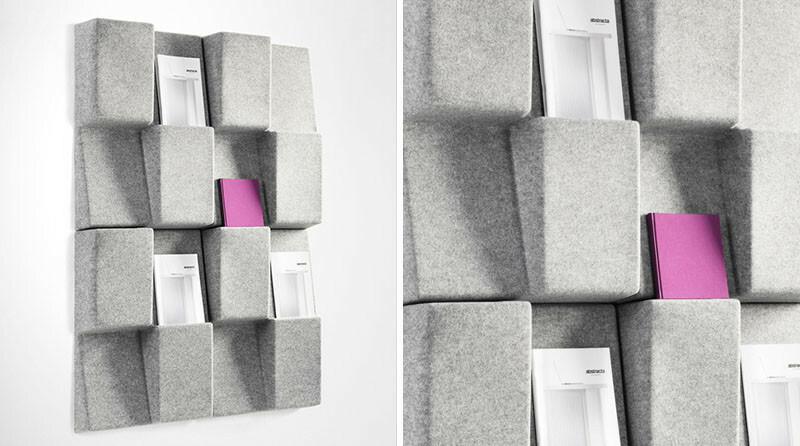 This chair made of felt is the perfect place to hide from all the felt haters out there! 4. 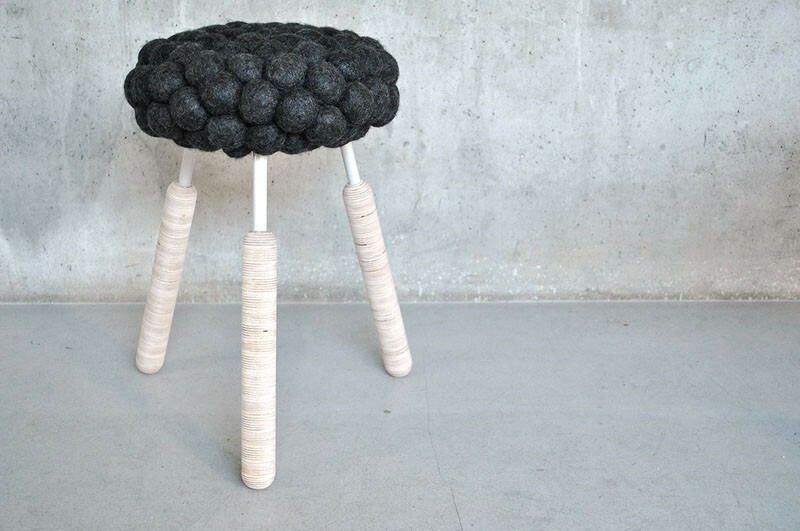 This stool with a seat made from hand felted balls. 5. 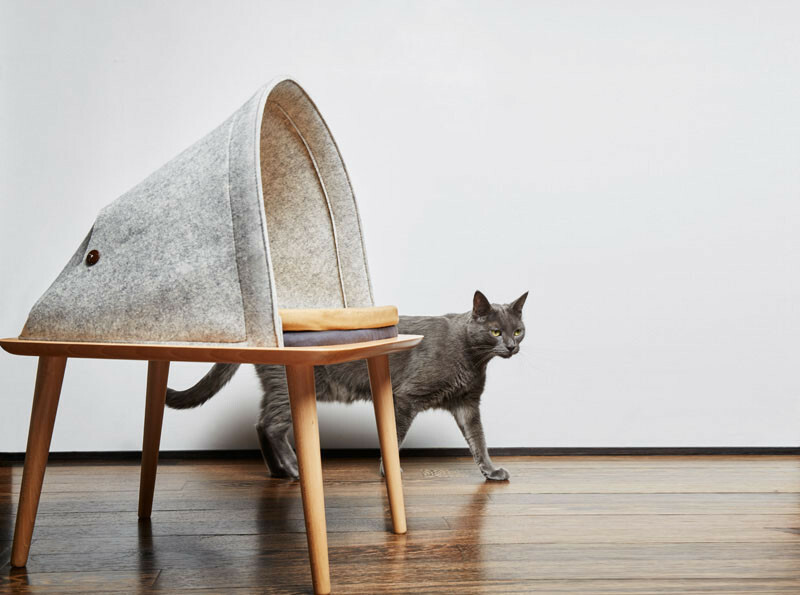 These felt cat cocoons are puuuurfect for all the stylish cats in your life. 6. 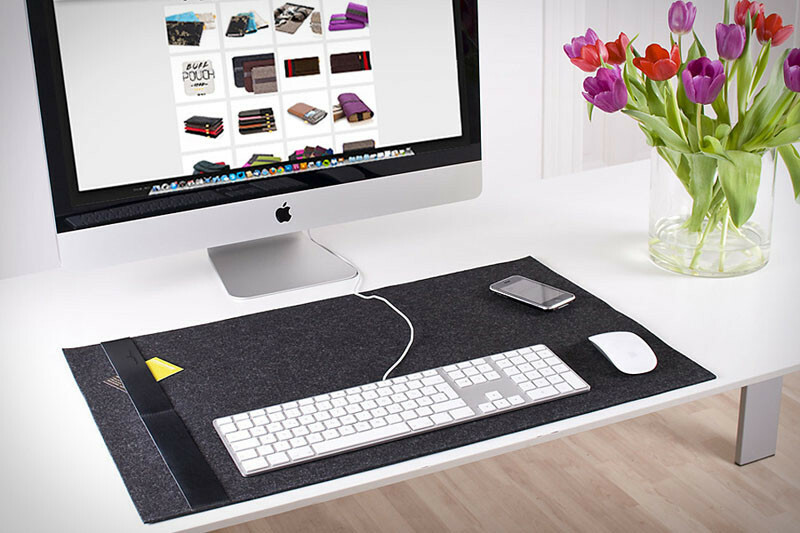 A felted desk mat is a soft place to rest your wrists while you’re typing. 7. 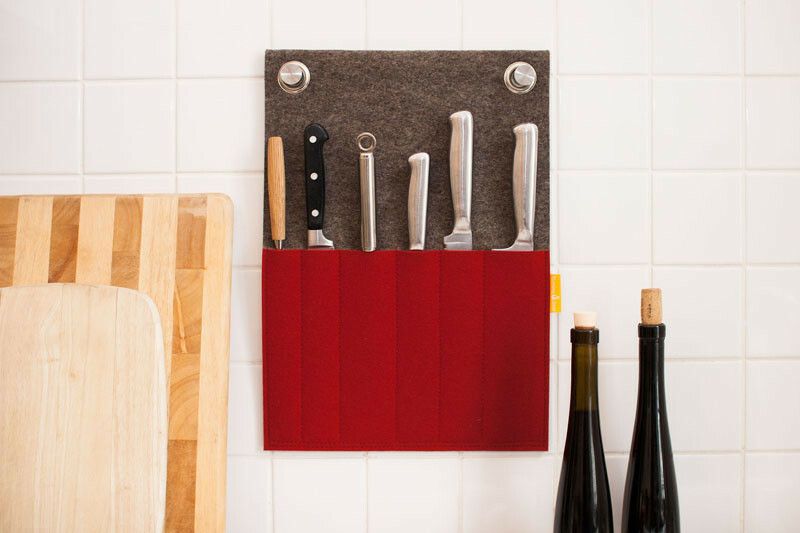 A knife holder made of felt saves space on your counter and keeps your knives in a safe place. 8. 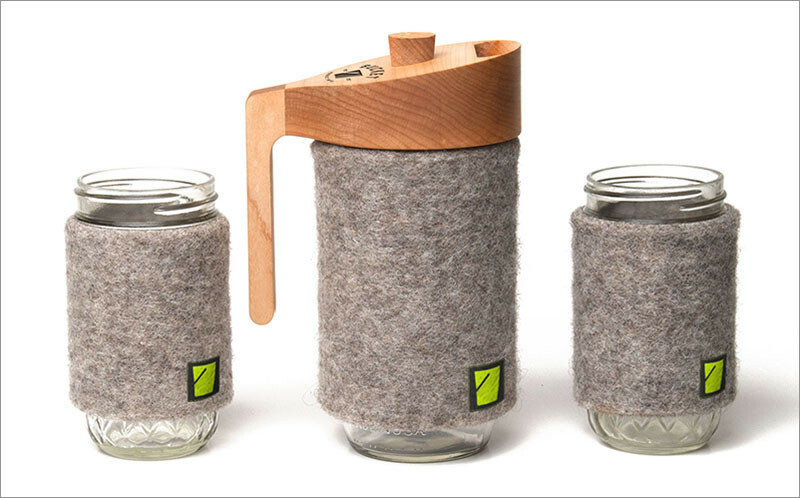 Keep your drinks warm with felt cozies. 9. 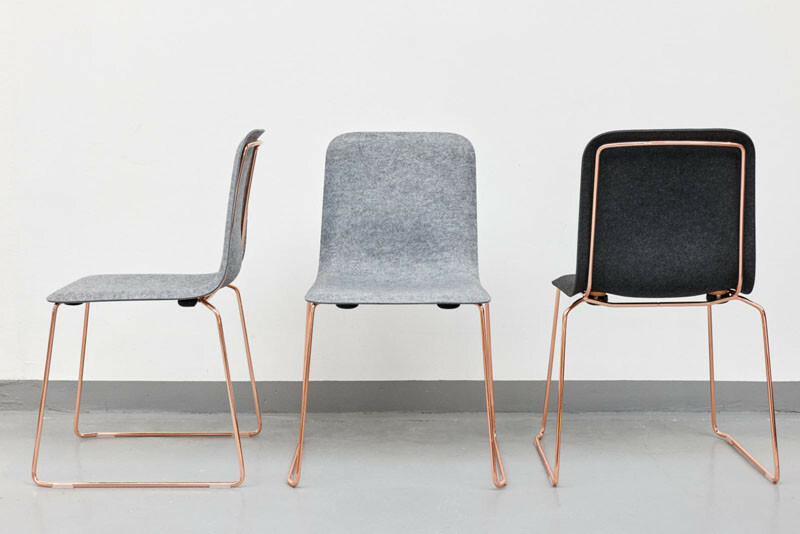 Add a sculptural touch with these lights and chairs made from felted wool and steel. 10. 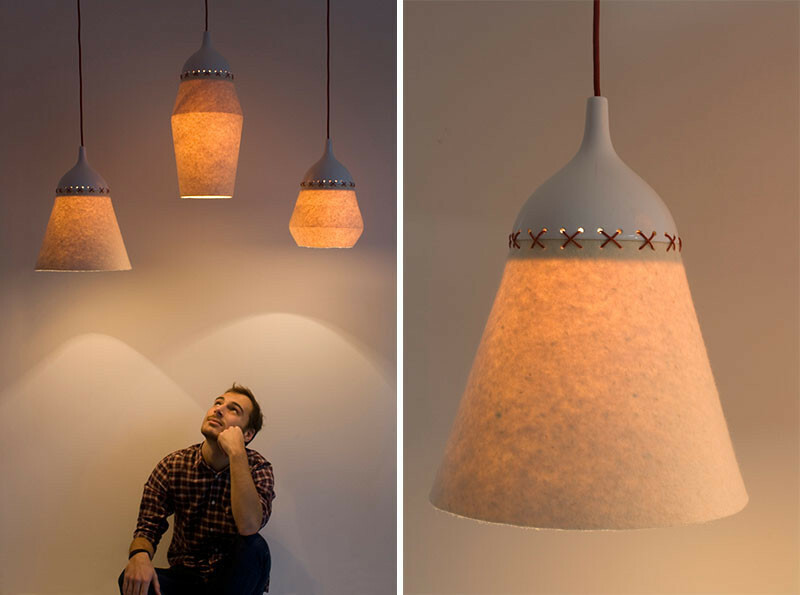 Light up your room with some pendant lamps made from felt and ceramic. 11. 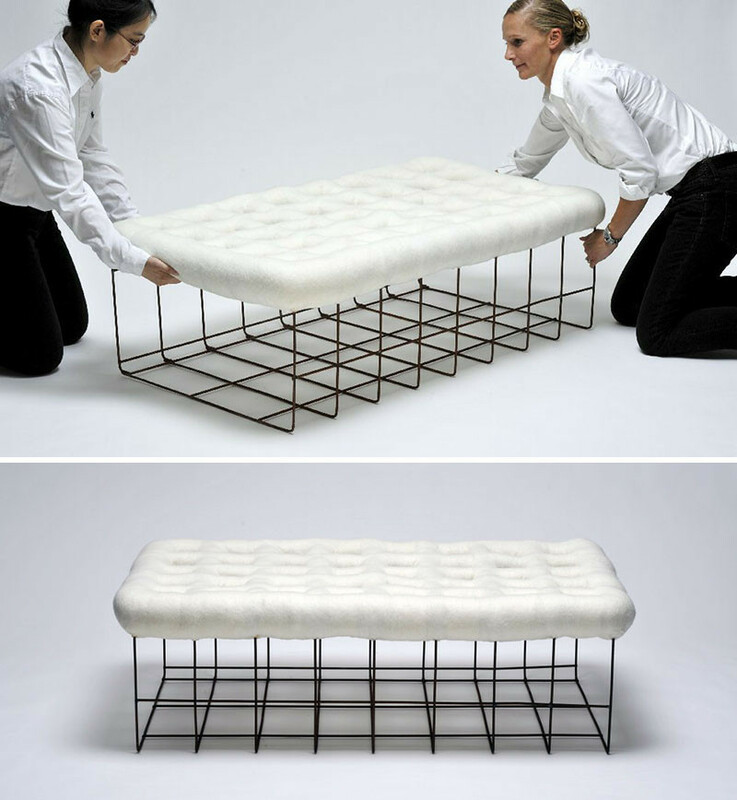 Add more comfy seating with a bench that has a cushion of merino wool felt. 12. 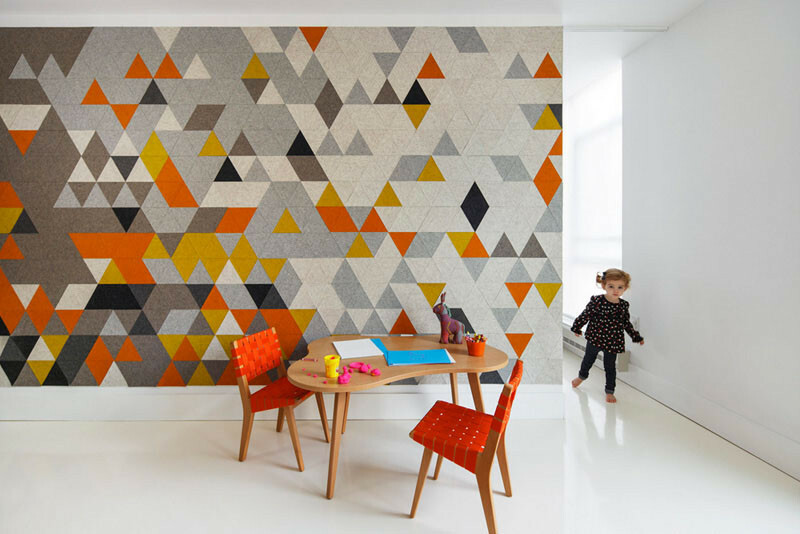 Add a felt wall art piece that can be used for both decoration and sound absorption. 13. 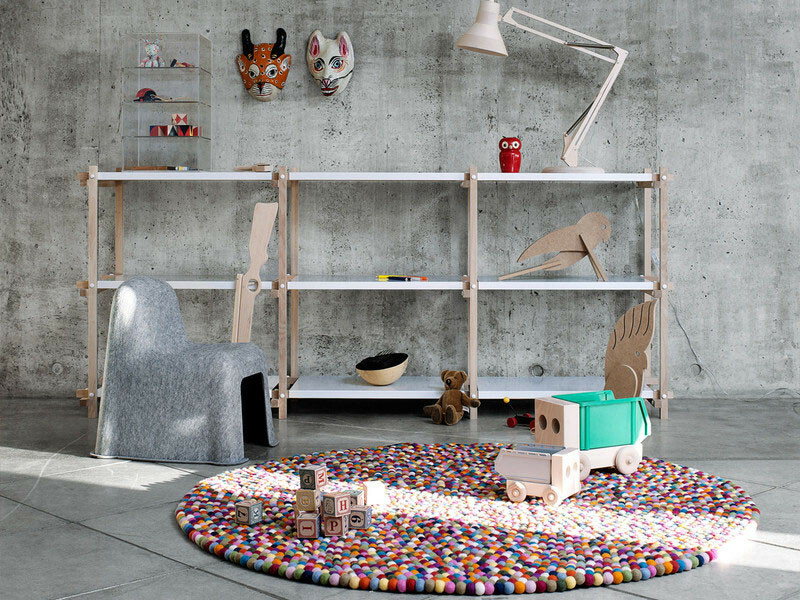 This textured rug made of wool felted balls is a great way to add a pop of colour to your space. 14. 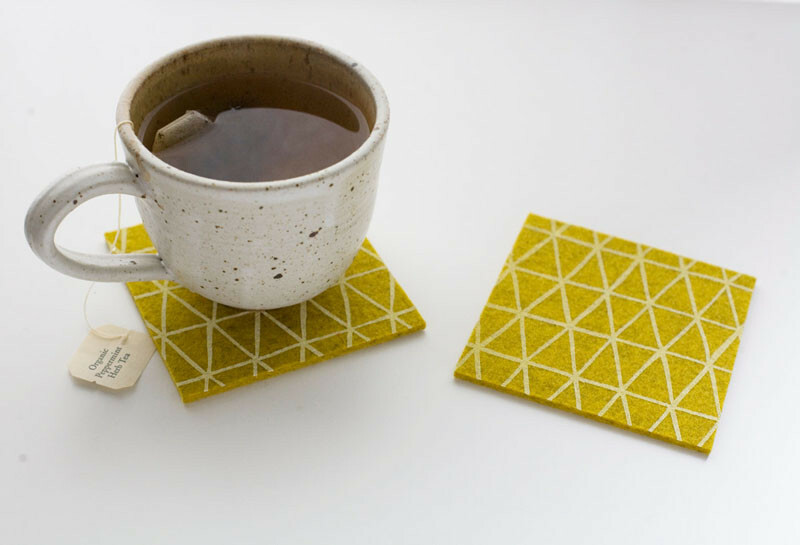 Felt coasters help prevent spills from ruining your table’s surface. 15. 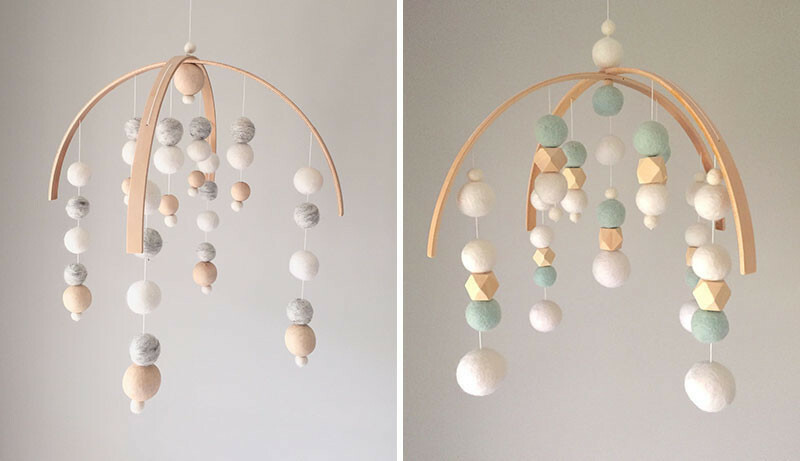 Add neutral toned wood and felt mobiles to a kids room. 16. A felt bookshelf is a great way to display art and magazines. Designed by Jonas Forsman. Produced by Abstracta. 17. 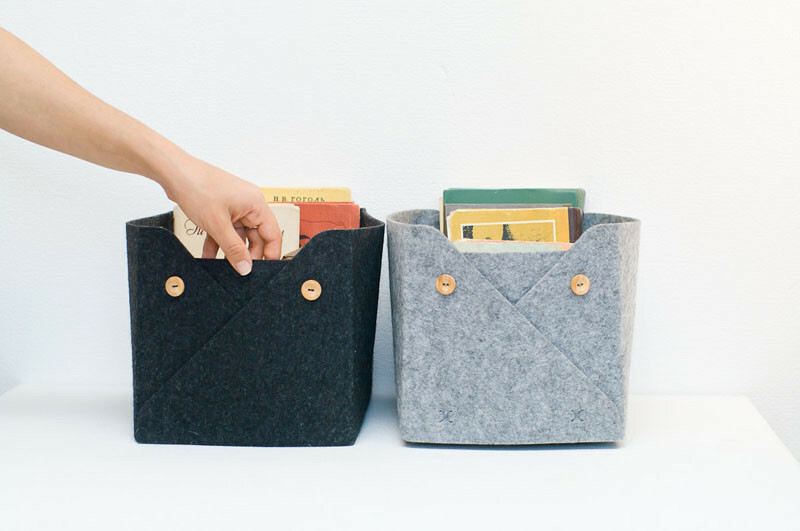 Add extra storage with wool felted storage bins. 18. 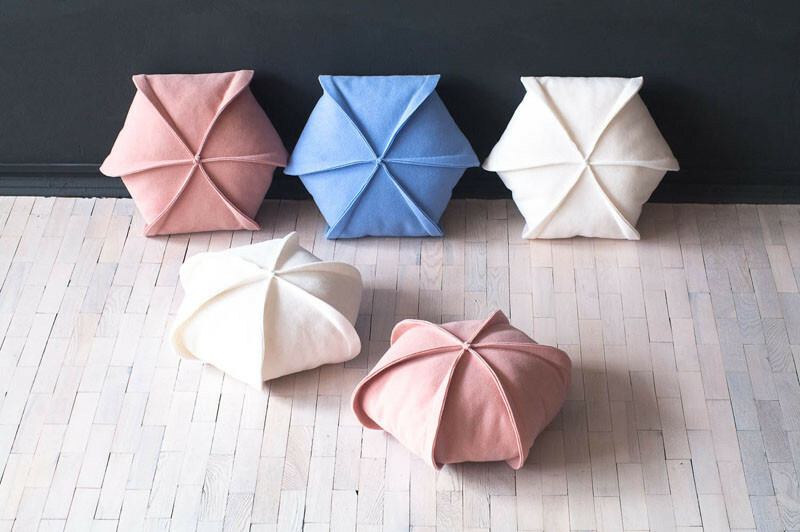 Soften up your sofa with some geometric felt pillows. 19. 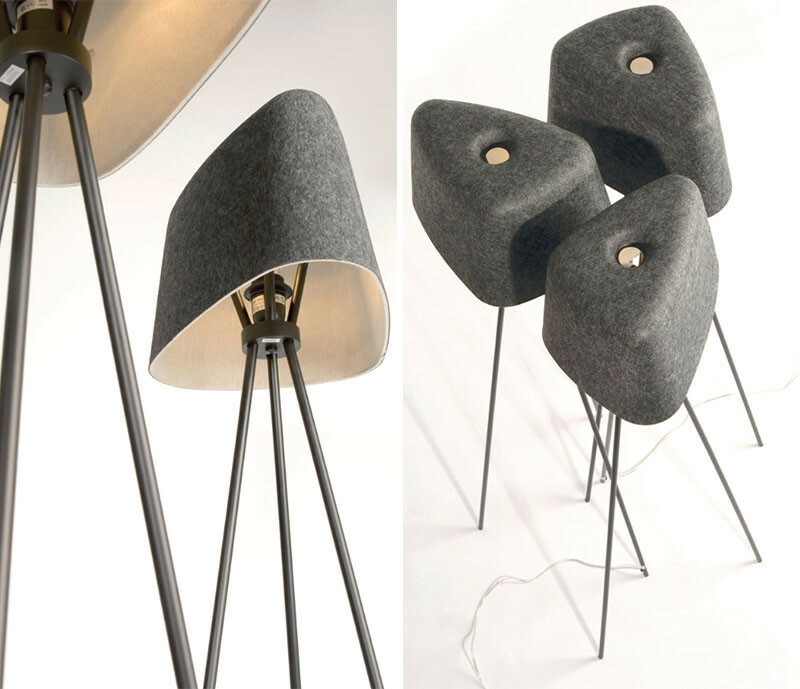 These felt floor lamps warm up spaces and add texture to a room. 20. 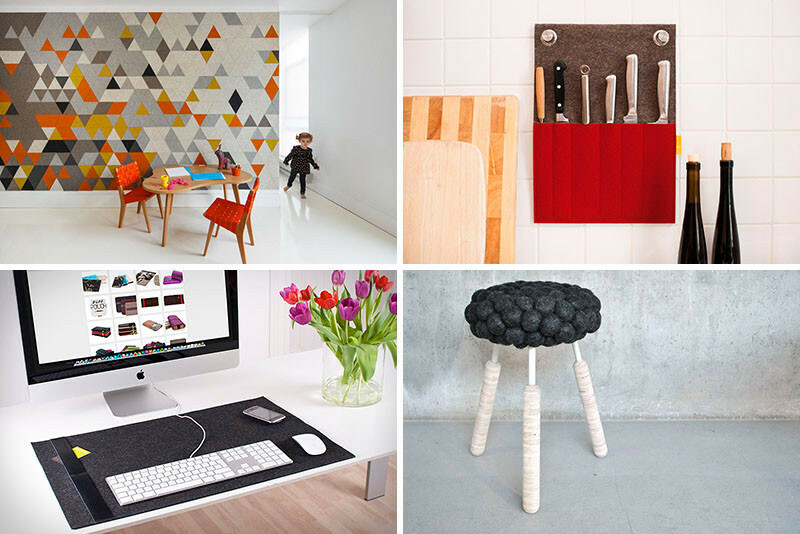 Surround your dining table with chairs covered in felt. 21. 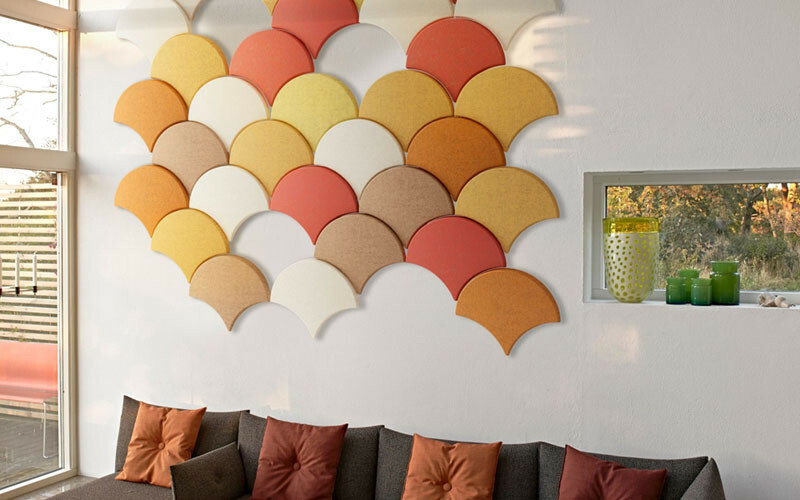 Add more wall pieces that are great for absorbing sound and being artistic at the same time. 22. 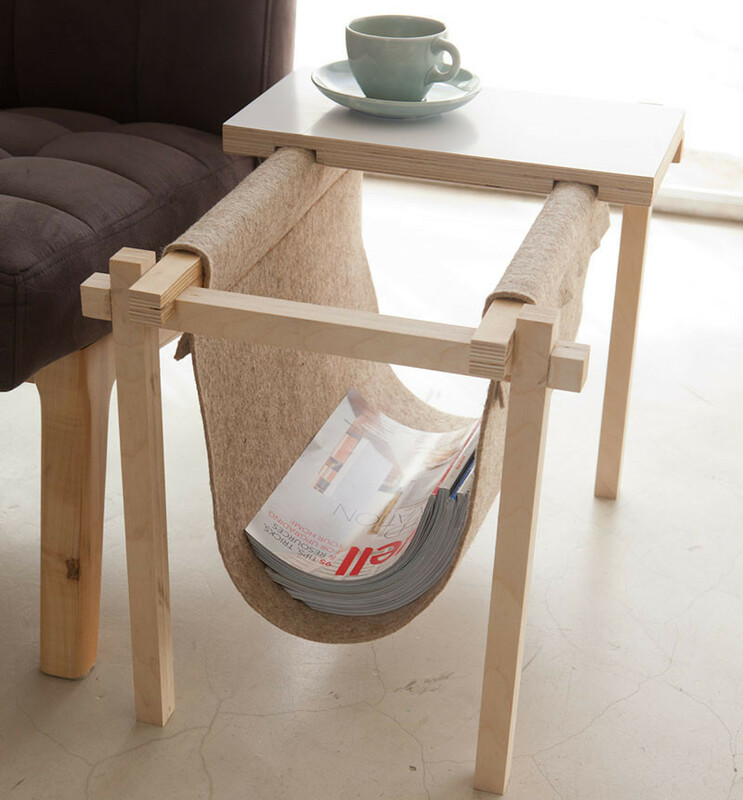 Include a wood and felt magazine holder, this one can double as a side table.